Posted by CCLD in Community, Steele. 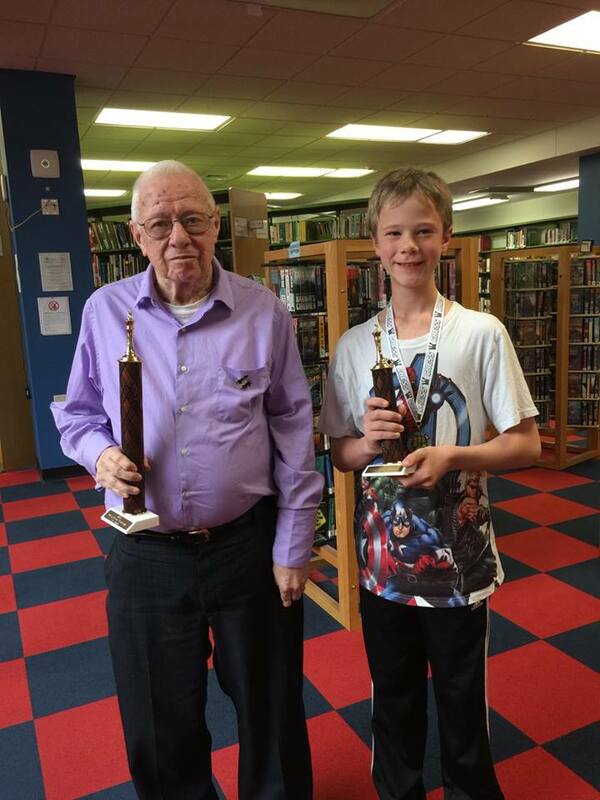 Our 4th Annual CCLD Chess Challenge was held at the Steele Memorial Library on Saturday, May 16, 2015. Approximately 76 people attended, 47 of which were players. Participants ranged in age from 5 to 76 years. With generous contributions from Vincenzo’s Pizzeria and Chemung Canal Trust Co., we were able to provide pizza for lunch and purchase trophies, medals & pins of participation. Winners were: 1st place Walter Buehl, 2nd place Michael Kane, and 3rd place Sam VanDyke. We continue to find ways of improving the event each year and appreciate the support for this unique intergenerational event in our community. 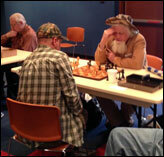 The Chemung Valley Chess Club meets every Wednesday at the Steele Library to play games between 10:00am and 4:00pm. Chess is a game that commands the enthusiasm of persons of all ages and abilities, male or female. It challenges the mind and develops critical thinking skills. Anyone is welcome to join. For more information, call Michael at 607-857-8479. Posted by CCLD in Programs. The status of Elmira as a city of culture, an education and entertainment center, took a step up on Sat. (5/4) at the Steele Memorial Library. The CCLD, the Friends of the Library, and the Chemung Canal Trust Co. sponsored a Chess Challenge attended by 50 players and many more observers, doubling the attendance of last year’s first annual chess tournament. All look forward to next year. Innovatively dropping the staid format of standard tournaments, organizers created a fantasy realm in which contestants stormed a castle to gain a throne, or defended it against barbarian invaders. This fluid format novelly permitted participation (and possible reward) to far more players: from 4 to 75 years of age. How many activities can command the enthusiasm of persons so varied, in age and ability, male or female? Both the youngest and oldest participants won prizes and trophies by superior play. Walter Buehl (75) not only attained the throne first, he withstood all challenges all day. His youngest subject Kai Patrone (4) rose impressively on merit above his elders, but never pretended to the throne as did Andy He (10). Other prize-winning princes deserve listing: Gene Millard, Michael Kane, Michael Mosher, Brian Murphy, Draven Kurta, Zack Pifer, and Max Pan (10). 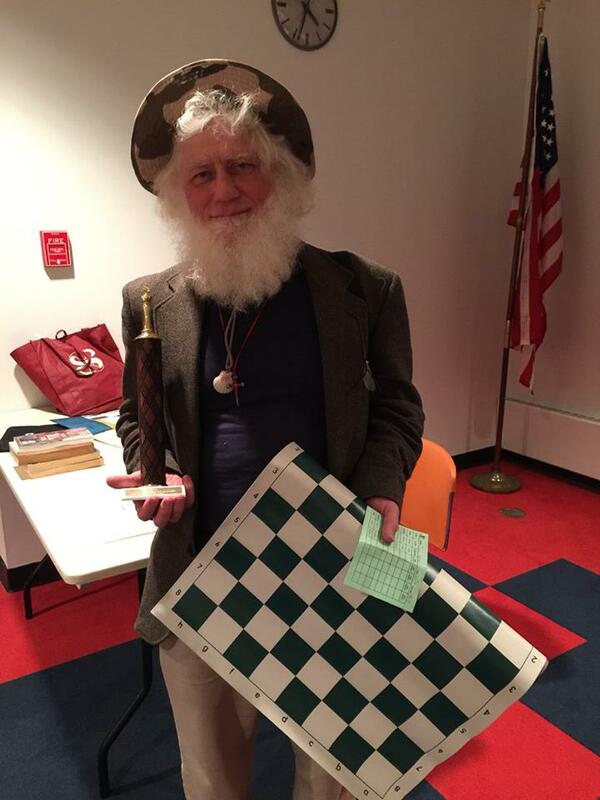 Anyone interested in chess should call Michael (607-857-8479) who organizes Chemung Valley Chess. Among other locations, he plays at the library every Wednesday. Everyone should be interested in any activity which trains young minds to think maturely analytically, and maintains youthful vigor in old minds. If you would organize your brain, would master logic, learn brutal life lessons on action/consequence, and know thyself (both strengths and weaknesses), play chess. To enjoy contemplation before swift action, to employ memorization and innovation (left and right brain lobes), play chess. To build concentration, to practice distraction and deception in plain sight, play chess. To deploy the fairest set of rational rules ever devised for cruel mayhem and ruthless destruction, play chess. To hunt with purest skill for your one main chance, play chess. To engage in a war game for territory like American football, but without broken bones, play chess. Chess you can play alone or on-line; you can battle one opponent all day, or more than one at once; you can organize a tourney on a train in any foreign country though no one speaks English. Always you will fight against yourself, in the present moment, while continuing a glorious legacy of legions of quiet warriors around the world.